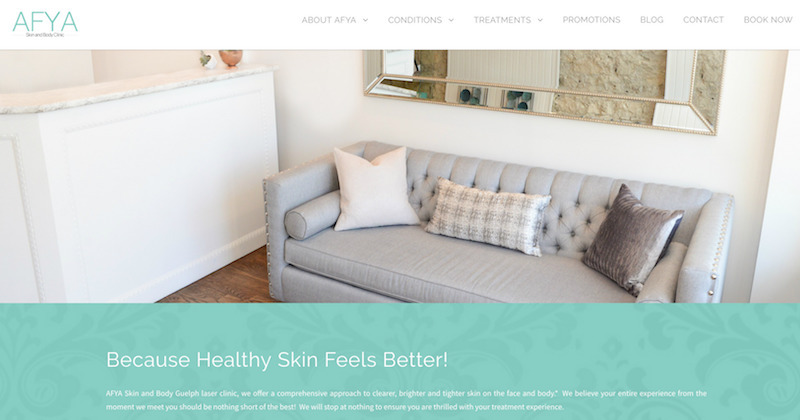 AFYA offers over 25 treatment solutions for over two dozen skin conditions and concerns, with their most popular service being laser hair removal. Hilborn Digital improved the user experience of each of these treatment pages to make it easier for clients to find the service they're looking for, view before & after photos, and get key information quickly. 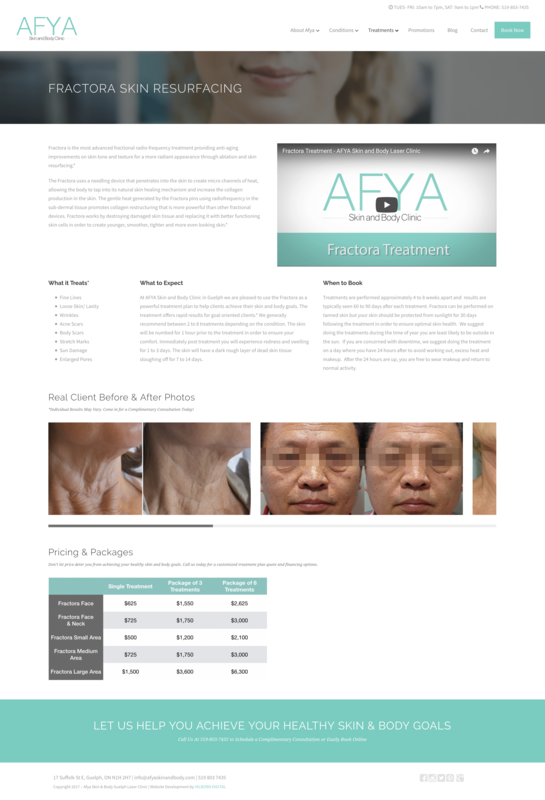 We also brightened the overall design of the website and opted for a clean, neutral, modern aesthetic.